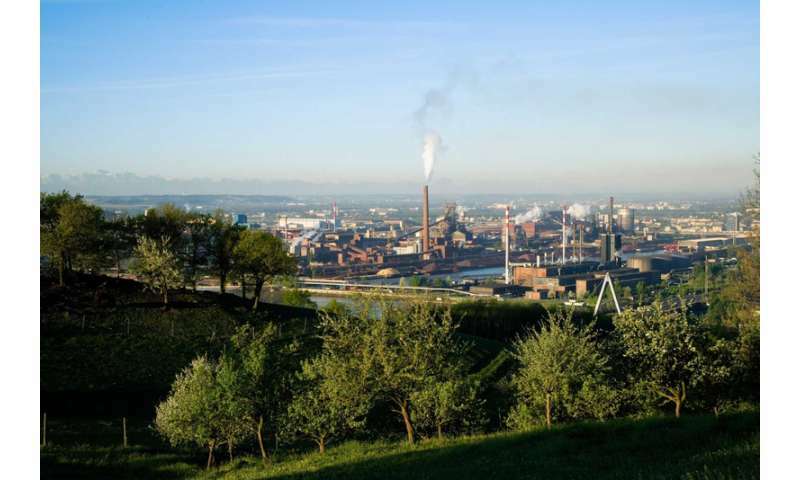 "From a chemical point of view, the important reactive step in the blast furnace process is the reduction of the iron ore," explains Johannes Schmid, Project Manager at TU Wien's Institute of Chemical Engineering. "In the natural ore, iron is present in the form of iron oxide, so the oxygen atoms first need to be separated from the iron atoms." In this reduction process, the carbon in the coke, and in particular the resulting carbon monoxide, plays a key role. Up to a certain proportion, however, hydrogen can also serve as a possible reducing agent. The whole process chain, from the production and integration of hydrogen gas from renewable sources to its use in blast furnaces, will require further research in the future. "At any rate we can show that a reductant gas can be obtained from biomass with the aid of a new process," explain Florian Benedikt, Josef Fuchs and Stefan Müller, who are working on the project. "According to our measurements, in principle our production gas is a suitable additional biogenous energy source. The gas quality is at least equivalent to that which voestalpine is already using today for various processing stages in an integrated iron and steel works." The second gas flow produced in TU Wien's biomass reforming process contains CO2. If the carbon dioxide is ultimately released into the environment, this closes the carbon cycle: all that is released is the CO2 that was previously stored as biomass in the plants that have been used. If the CO2 is not released into the environment but processed further, then the process has an even better CO2 footprint: This is known as a 'below-zero emission' process. Prof. Hermann Hofbauer is delighted with the results that have been achieved: "The implementation of renewable energy sources in a resource-intensive process such as steel production presents a major challenge. The research project with voestalpine on this subject is therefore an important lighthouse project for our research group." 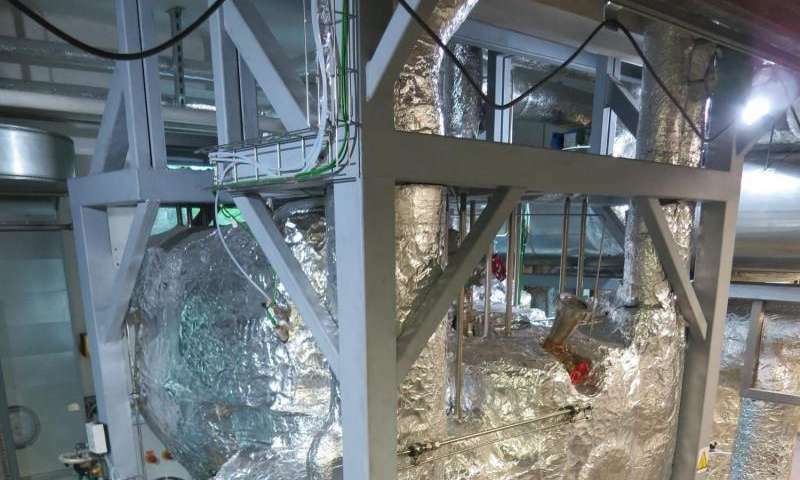 To optimise the biomass reforming process, a large research facility, with a total height of seven metres, was constructed between 2013 and 2015 at TU Wien. "Only such a facility can give us the meaningful results that will allow us to design major industrial demonstration installations," says Hofbauer. "Our results are showing us that it is technically possible," explains Johannes Schmid. "For high-quality biomass such as wood chips, though, it is not possible to illustrate economically the prospects for use under current conditions. That's why further intensive research is necessary, so that we can also make it possible to use inexpensive biogenous raw materials." In addition to hydrogen generation using an electrolysis process, the technology also offers another possible green alternative for steel production in the long term. The first energy crisis during the beginning of the industrial revolution was exactly about running out of biomass to turn into charcoal, for the iron and steel production furnaces. Coal could be used to heat up the furnaces, but the reduction process needed large amounts of pure carbon to result in good quality steel, so huge areas of forests were cut down all over Europe. European forests were decimated to the point where the large maritime powers started having trouble sourcing timber for construction of their sailing ships, and charcoal production was banned in places. Then they invented the coking process and substituted fossil coal for trees, and as a byproduct they got a whole bunch of coal tar which was just a toxic mess, so they invented modern organic chemistry as they tried to figure out what it was good for. Everything from synthetic antibiotics and dyes to fertilizers and plastics followed. Also, on a tangent, the creosote derived from coal tar prevented another eco-catastrophe in the US when it was discovered that the expanding railroad network needed so much trees to replace the ties under the iron tracks. Half the continent would have been cut bald by the end of the century, because the untreated wooden ties would just rot away in couple years, and using wood tar creosote to treat them would have seen them burning away even more wood. Moral of the story, there isn't actually all that much biomass to be used. Trying to run a modern industrial society by growing some sort of shrubberies demands more than we can sustainably grow.